Providing versatility. Increasing performance. Maximizing safety. The new GR enclosure series, which is developed for customized solutions with increased safety (Ex e) and intrinsically-safe (Ex i) type of protection, is available for various products of our portfolio—including certification for global use in your plant. 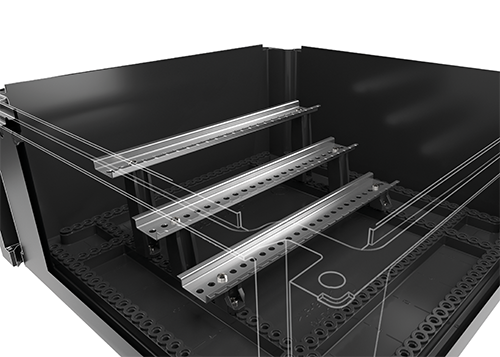 During the design stage, the free placement of the DIN rail with no need for a mounting base enables you to incorporate a higher number of components and functions into one of the 13 enclosure types. Extremely rugged GR series GRP enclosures withstand temperatures down to -60 °C. Beyond versatility this enclosure series can serve in place of stainless steel housings in many applications. Cleverly designed features enable convenient one-person mounting, maintenance, and flexible extensions—this saves time and makes handling much easier! Pepperl+Fuchs has pioneered work in completely re-designing the GR series made of glass-fiber reinforced polyester for customized solutions in increased safety (Ex e) and intrinsically-safe (Ex i) type of protection. Based on years of experience in electrical explosion protection, many of the functions were updated and cast into a new design—allowing an uncompromised use in diverse applications. Any electrical apparatus as well as the required installation equipment such as terminals and switching elements installs at the required heights on a 10 mm DIN rail mounting grid—without the need for an additional mounting plate. A selection of 13 enclosure types with different sizes from of 10x10x07 cm to 48x60x24 cm or 36x72x24 cm is available for individual configuration. 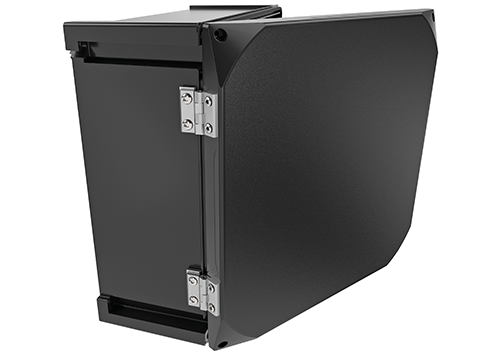 A unique feature is the integrated protective up stand, which protects the sealing edge from damage even when open enclosures are stacked, during installation, re-wiring and plant upkeep. This is stable IP protection by design. 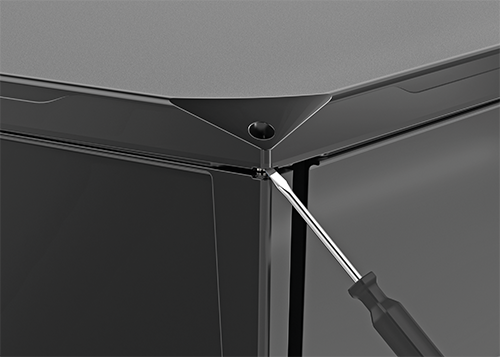 Screwdriver pry points enable easy opening of the enclosure cover, even if it’s stuck after long-term operation. 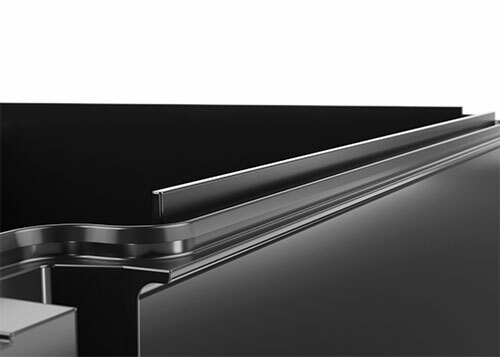 Rugged and durable hinges significantly facilitate plant maintenance. The unique enclosure design makes mounting remarkably easy. Decoupled installation steps allow even large and heavy enclosures to be installed by just one person: First, create two fix points (1-2). Hang up the enclosure at those two points. Then drill two more holes (3), insert and tighten all screws. The extended temperature range of -60°C to +65 °C makes the enclosures usable for applications in harsh environments. In many applications, they are an alternative to stainless steel enclosures, which are common for such low temperatures. Jürgen Bächtle, Sales Manager Europe for Electrical Explosion Protection Equipment at Pepperl+Fuchs, presents the new GR Series for terminal boxes and control stations made of glass-fiber reinforced polyester. Both spacers and the integrated design grid ensure that components of different sizes are mounted efficiently at different heights—this leads to an increased flexibilitywith reduced engineering effort. Requirements for complex control and monitoring applications can be realized with up to 68 operating elements in one GR series enclosure. It couldn’t be easier: use our online tool to quickly configure your individual terminal box. With just a few clicks, you choose the preferred enclosure material, the desired certification for explosion-hazardous areas and specify the type and quantity of terminals and cable glands you need. You receive a tender within a business day. As an established partner in process automation, customer satisfaction is a top priority to us. This is why we attach great importance to an international presence with experience and knowledge. With more than 300 local sales representatives, our experts support you around the globe. In our Solution Engineering Centers, we create product solutions every day, that are planned, produced, and certified according to customer specifications! In our interview with Herbert Schober, Executive Vice President EPE & Solutions Global, get to know our comprehensive portfolio of electrical components and systems for explosion protection. Learn more about the highly customizable, certified terminal boxes for hazardous areas that are ready for shipment in just five days! Do you have questions about the glass-fiber reinforced enclosure series? Do you want to receive more information? We are happy to help! Simply fill out the contact form to send us a message.